Banana Republic is in collaboration mode once again! Following on from their highly successful Issa London collaboration, the holidays are looking good thanks to a very special arrival. The gorgeous L'Wren Scott is the latest Banana Republic collaborator and if these pictures are anything to go by, this is a collection that will have all of us looking mighty fine at our 2013 Christmas parties. 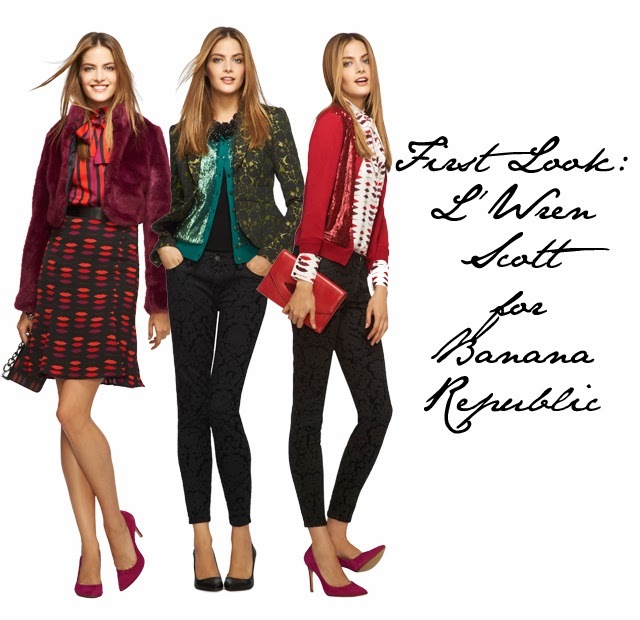 Launching worldwide on December 5th, the L'Wren Scott for Banana Republic collection will feature more than 50 pieces including both clothing and accessories. For L'Wren Scott collectors, expect to find the shapes she's famous for with prints that were designed exclusively for the collection. Here's your first look at the entire collection, styled in a way that makes us want each and every piece!